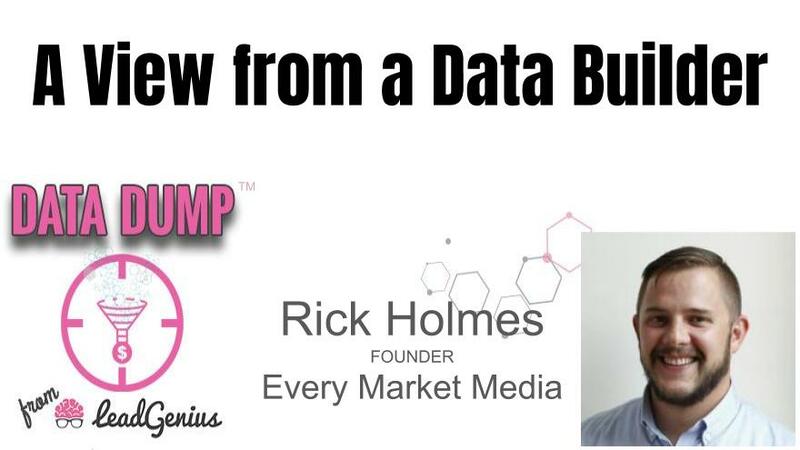 The first Data Dump podcast guest of 2019 is none other than Rick Holmes, Founder of Every Market Media. 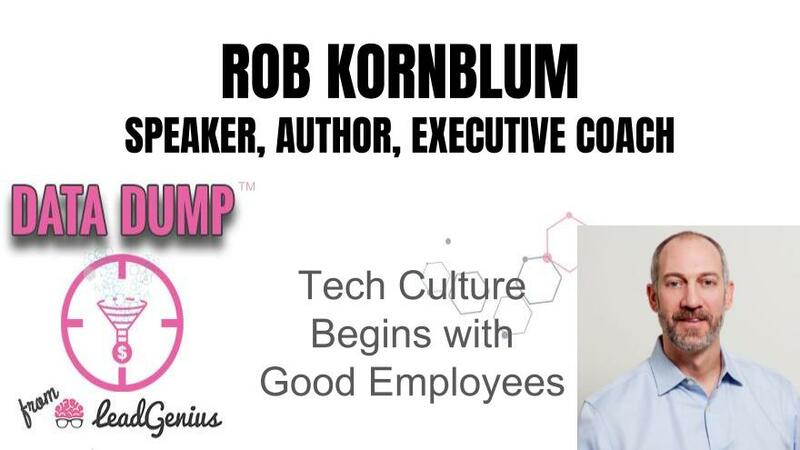 Rick is a longtime friend, peer and data wrangler of Mark Godley, CEO of LeadGenius. 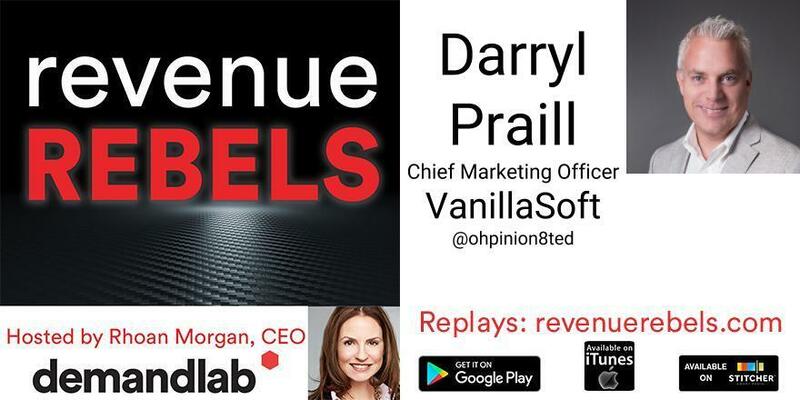 That means that nothing is off limits...are direct dials dead in 2019, will email be obsolete in five years, how will LinkedIn survive, and what are the dirty little secrets of B2B data wrangling. 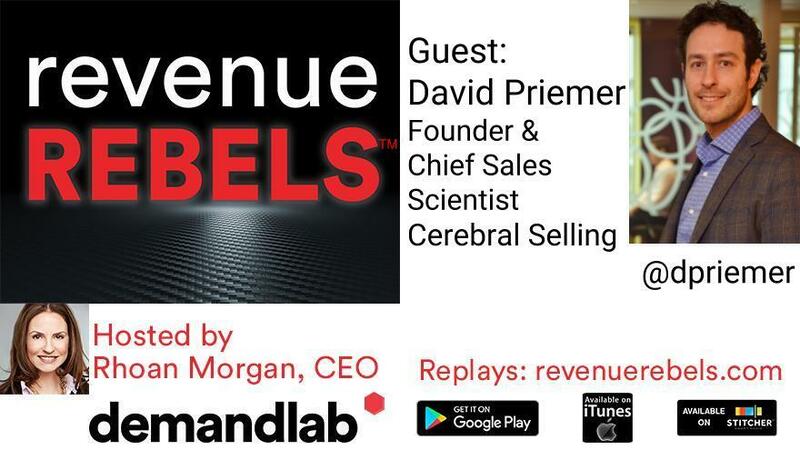 The wholesale data entrepreneur and enthusiast will entertain and school the listeners of what happens behind the velvet curtain of mass data collection and why he loves it so much. Rick is an outbound marketing enthusiast who brings value to his customers through data feeds, software and analytical thinking. 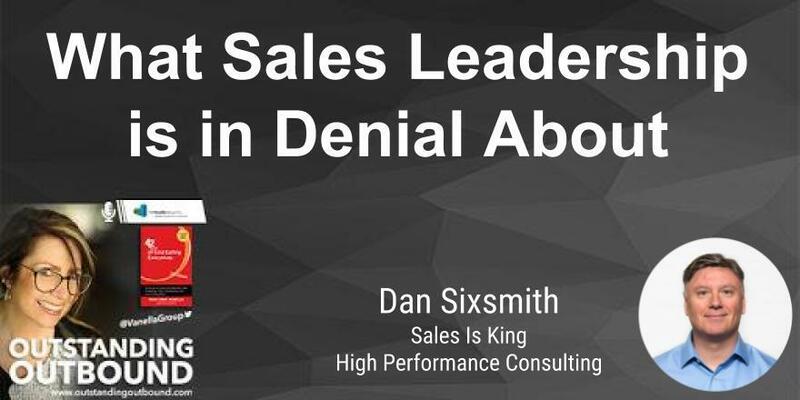 Most recently, he launched LeadPorte.com to provide greater access to EMM B2B data. 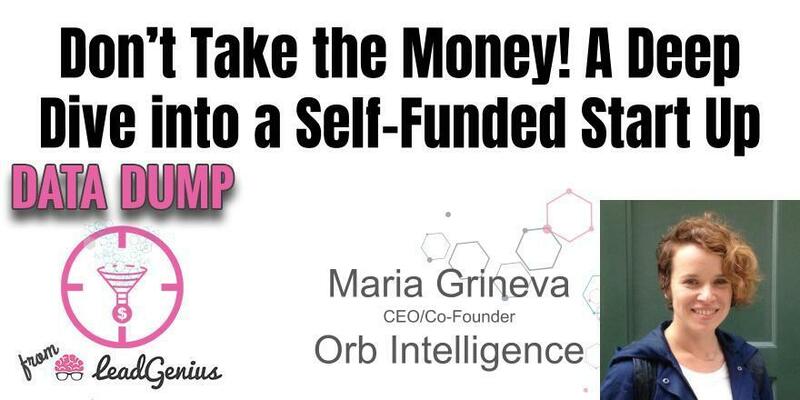 Prior accomplishments include ranking on the Inc 5000 three times, building a sales team from 4 to 40 and bootstrapping a business to $1 million+ in sales in its first 12 months. 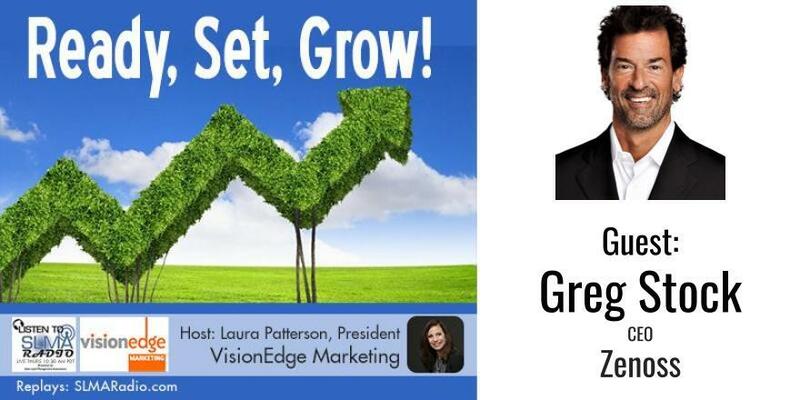 Host, Laura Patterson interviews Kevin Dunworth, CEO/Founder, Celling Biociences for her monthly program: Ready, Set, Grow! 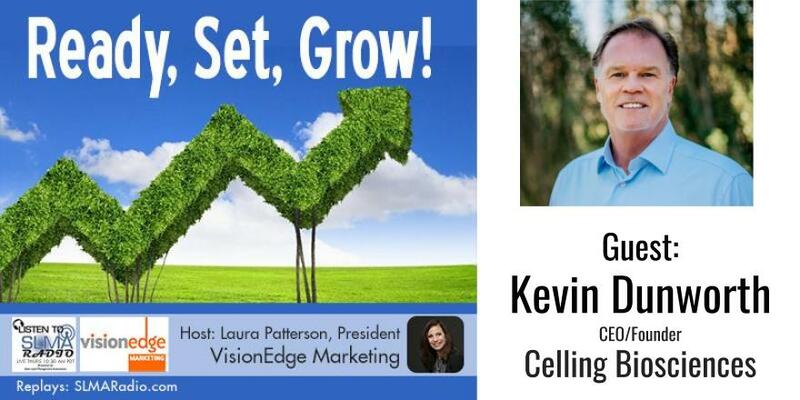 Former athlete turned entrepreneur, Kevin’s heritage is deeply rooted in coaching and winning. The oldest of three brothers who all swam for university national championship teams, he and his brothers were raised to work hard and succeed at whatever they tried. After swimming at the University of Tennessee, Kevin moved this determination and grit into the boxing arena winning the Golden Gloves of Tennessee and becoming a professional boxer adding 56 amateur fights and 8 professional fights to his sports resume. He was introduced to the field of sports medicine as a patient and his interest quickly catapulted him as a businessman and entrepreneur. Kevin has spent more than 34 years in the biomedical industry, the last two decades of which he has brought together physicians, scientists and like-minded entrepreneurs to help improve the standard of health care in the fields of orthopedics and regenerative medicine. He created BennuLife as his vision of how to not only collaborate with providers but with patients themselves as proactive individuals who want to improve their health and wellness. 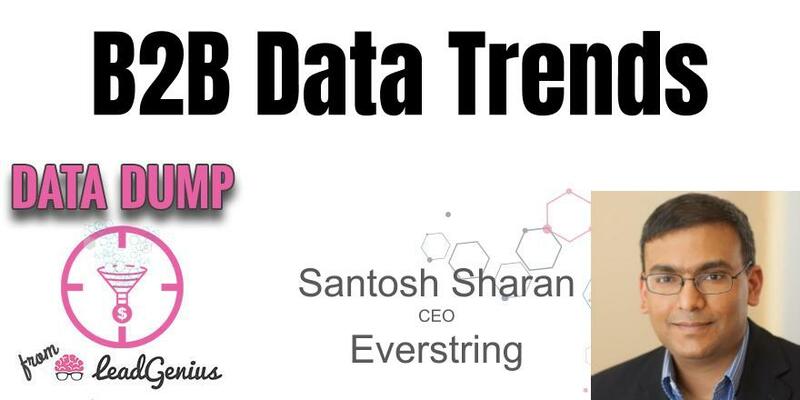 For the final Data Dump episode of 2018, Mark Godley sits down with Santosh Sharan, CEO of Everstring, for the meeting of the CEO data industry minds! Mark drills down into Prayag’s initial interest in the B2B data space and why he has stayed since his background is deeply seeded in machine learning, multilingual text, and analytics. 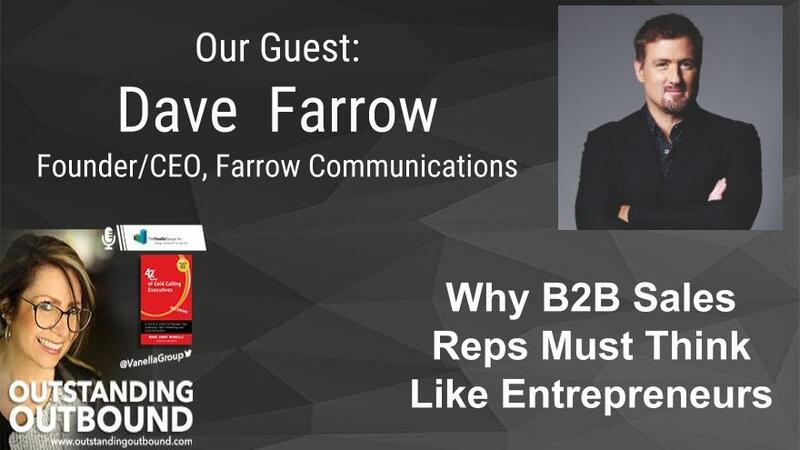 The CEOs than to go on to discuss what modern B2B data vendors have in common and what their future holds. 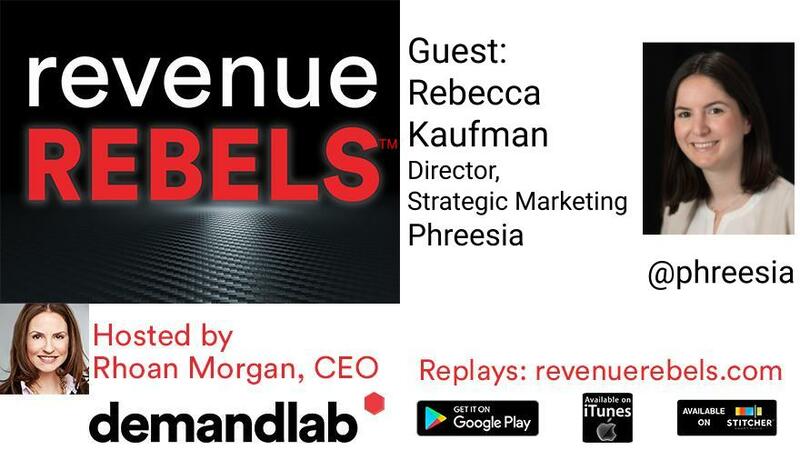 Join the podcast to hear a lively discussion of what the leaders believe to be true about the importance of data and how it is transforming our space and beyond.